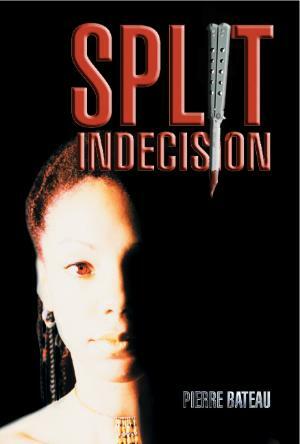 Split Indecision is a bold experiment in fiction. The story is innovative, and comes to a well-integrated conclusion, but I feel it actually represents a novel in progress. We expect to see this kind of story in draft stages, when we can then guide the writer to make the story more clear. This was only a fleeting thought on my part, however. I wasn't convinced the book needed more work until I realized that the author has asked the reader to do almost all of the work. We have sequential first person accounts labelled by various character's names. This does provide good characterization, but it becomes hopelessly confusing for a reader who wants to understand how the characters relate to each other. Since the author simply provides "snippets" or first person snapshots for each character, it is up to the reader to remember who the characters are and figure out what their role is in the story. So, in this review, I have to assign this to the "Needs another Draft" category. Once another draft is done, and it includes the missing parts, I will read it again with interest. During this revision, I would recommend using a single point of view. Then, if multiple views are necessary, they can be worked in later on without confusing the reader. However, the book is a bold experiment - no less so than stream-of-consciousness writing was in years past, so maybe we can stand back and watch literature encompass this television-like procession of images. In that case, my viewpoint will be seen as regressive and old fashioned, but that's just the risk I'll have to take.